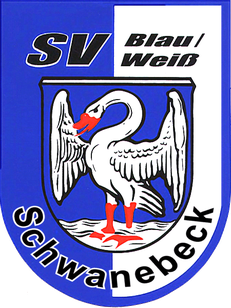 Testspiel Neinstedt II 0 - 14 Schwanebeck (09.07.2016) - sv-blau-weiss-schwanebecks Webseite! Super, Klasse. Auch wenn das Ergebnis erstmal absolut nichts aussagt. After I initially commented I appear to have clicked on the -Notify me when new comments are added- checkbox and from now on each time a comment is added I receive four emails with the exact same comment. There has to be a means you can remove me from that service? Thanks! Every weekend i used to go to see this website, for the reason that i want enjoyment, for the reason that this this website conations actually fastidious funny data too. I like the valuable information you supply to your articles. I'll bookmark your blog and test again here frequently. I'm rather sure I will be told a lot of new stuff proper here! Best of luck for the next! This is the perfect site for anybody who wishes to find out about this topic. You know so much its almost tough to argue with you (not that I actually will need to�HaHa). You certainly put a new spin on a topic that's been written about for years. Excellent stuff, just excellent!